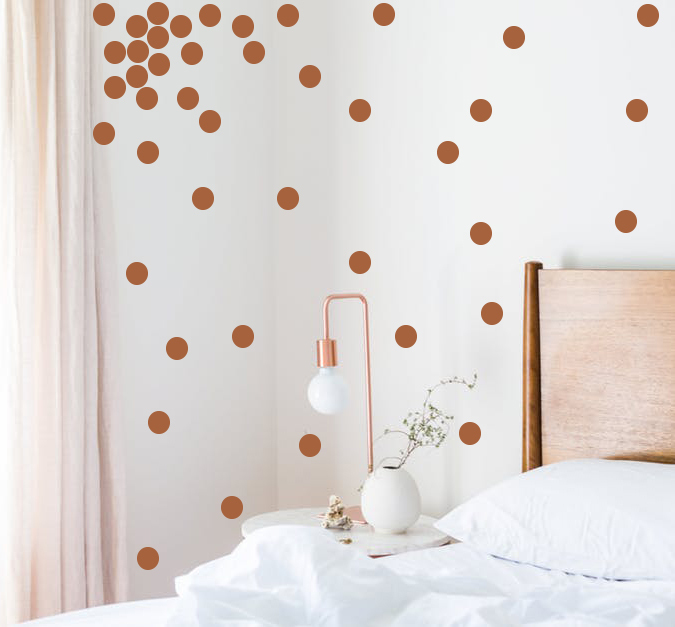 These adorable Cooper Polka Dot wall decals will add a special touch to your girl's room, nursery, living room or laundry room. These decals can also be used on glass, metal, plastic bins, water bottles, mirrors etc. These could also be used on a envelope, at a birthday party, on a computer, car windows etc. These dots come in 2, 3, and 4 inch packs.